Glenn Dale Hospital, located in Glenn Dale, MD, currently sits vacant, awaiting a buyer willing to rehabilitate the hospital campus that closed its doors in 1982. The latest reports say there are two bids for the property, ‘as is.’ The only real protection on the property is a restrictive covenant mandating that the buildings be used as a continued care retirement community while the open land becomes public park space. 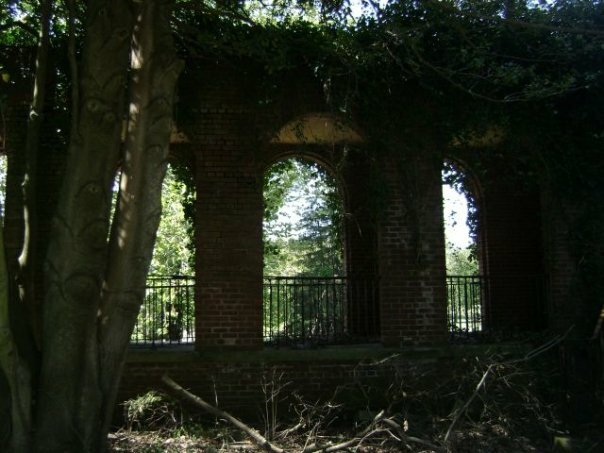 Glenn Dale has suffered the ravages of time and vandalism for over twenty-five years. I often wonder if this could be prevented had a new use had been found earlier. Maybe the state of the buildings here would be in better condition. The cost to restore them will be a multimillion dollar undertaking. Hazardous materials such as asbestos and lead paint threaten the safety of trespassers who do not seem at all phased by this issue. The city of Glenn Dale deserves to have this site in use and benefiting its citizens without the perceived barriers and bureaucracy that has caused the crumbling former tuberculosis campus to become a taxpayer responsibility and a haven for vandalism. It’s about time something happens with this site and it better be soon if the buildings are to be revived and once again serving a useful purpose. Next Post They really couldn’t find a better place for this?